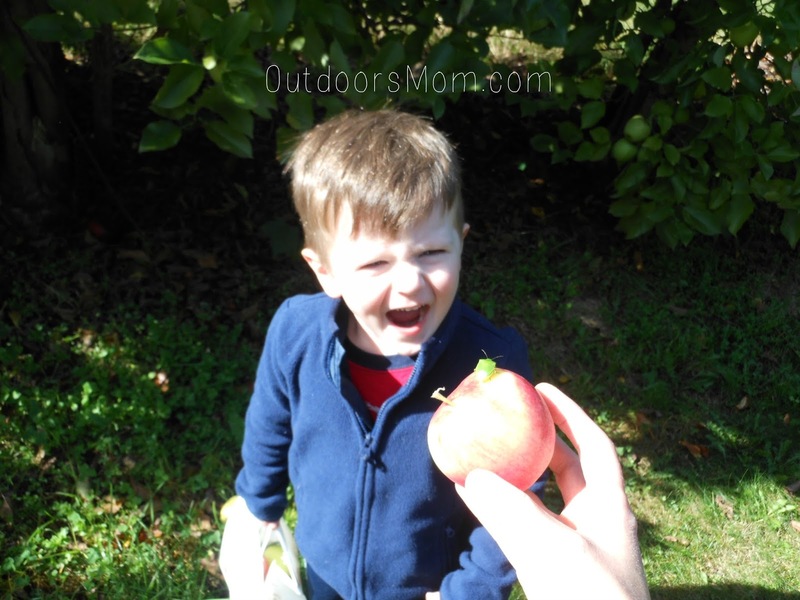 OutdoorsMom: Fruit Picking - Add Adventure Without Adding Cost. Fruit Picking - Add Adventure Without Adding Cost. 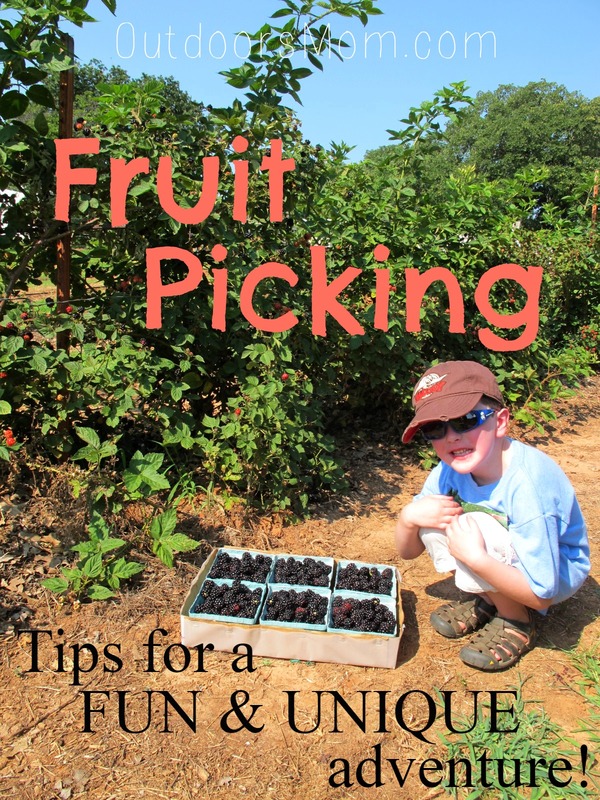 Fruit picking is a fun activity for any time of year. As a kid we use to pick apples with our best friends, then spend the rest of the day canning and making apple cider. Nowadays, any fruit picking can be quite an event. 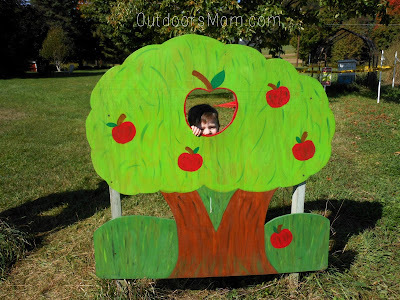 I love all the other activities that can be available at groves and orchards, hay rides and such, but the costs can add up fast. So I rounded up a few activities that will make your next fruit picking trip an adventure without adding any extra costs. Involve friends. Almost any activity is better with friends. Take advantage of what's free. One of the orchards we picked at couple years ago had these fun picture boards. I have been to farms that included corn mazes. Sometimes there are some really good deals out there. Have a contest to see who can find the biggest fruit. This one kept the kids busy for a while. Even when we weren't competing they had a lot of fun finding BIG blackberries. 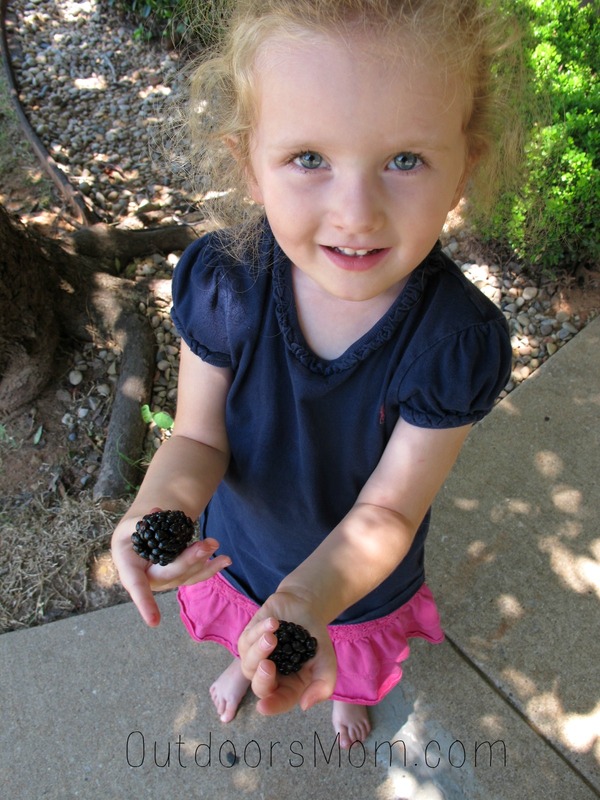 Check out these huge blackberries. 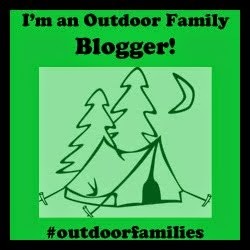 Go for a monster (bug) hunt - Do you see different types of bugs than what you see in your backyard? Can you find any bugs eating the fruit? Have a picking race. See who can pick the most fruit in the shortest period of time. Being careful not to bruise the fruit of course. This was fun even with just my son and I. Snack along the way. We talked to the owners of the blackberry farm we picked at and they said they assume some fruit will be eaten during picking and it is added into the cost. Make a treat that the kids can be involved in. These baked apples look amazing and simple to make. There is never a better time to enjoy a campfire than the fall. If you don't have a fireplace, check local state parks for day-use areas. I have taken my kids apple picking the past 2 years. 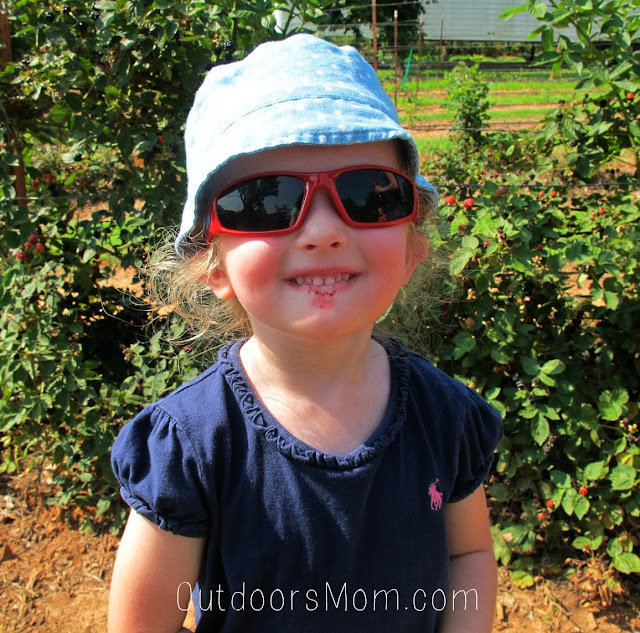 We went blackberry picking last week and are picking peaches next. 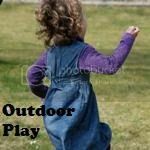 It is such a fun way to get outdoors and get the kids excited about eating healthy foods. That is double whammy on the fight against obesity. After blackberry picking my son asked if people chose to work on a blackberry farm when they get old. I said yes. He then announced that he was going to live on a blackberry farm when he gets old. I told him I thought that was a good idea. So cute!